Technology is disrupting different industries across the world, and real estate cannot be far behind. Already, real estate consultants have moved beyond the traditional ways of prospecting, with the Internet opening up the market in unprecedented ways and taking a lot of the footwork out of finding property options. As much as 70% of modern real estate consultancies’ prospects are today acquired through digitally-obtained leads. Crowdfunding could emerge as a new way for real estate consultancies to add value both to developers and their customers. For instance, one could use the crowdfunding platform to raise small amounts of money online from several donors in order to finance a developer’s project or venture. Aggrieved buyers wanting to get their ‘stuck’ project completed may also take the consultancy’s help with setting up an escrow account where the crowdfunded money gets deposited. When the project is completed and a cooperative housing society is formed, it could sell out some of the extra units in the project and share the profits with all such investors. Such advances in financial technology can and will revolutionize almost all aspects of the real estate business in the future. In particular, they speed up the entire transaction lifecycle of the residential real estate business. Blockchain has all the hallmarks of a real estate revolution in its own right. 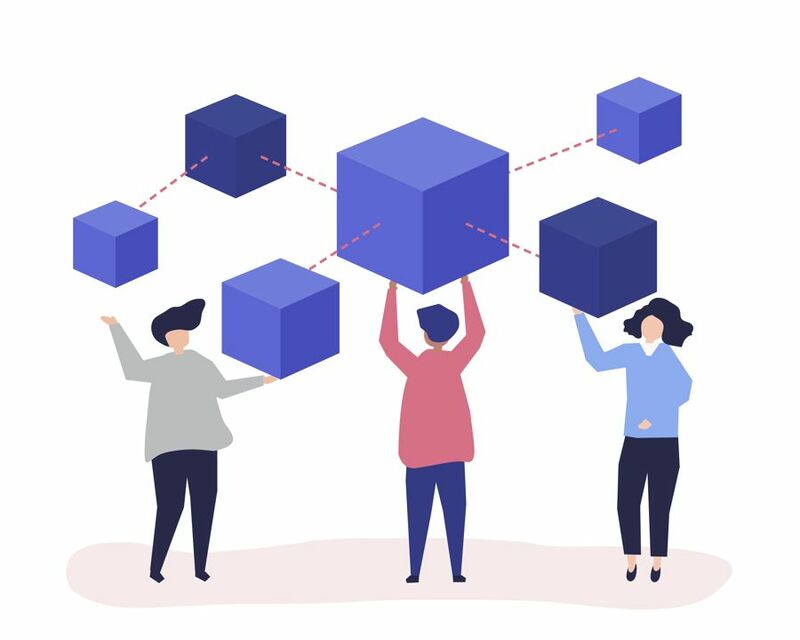 The underlying principle of blockchain technology is the distribution of digital information in a secure and efficient manner – information which can be accessed, albeit with some restriction, but not copied. However, the subsequent stages of documentation, past records, due diligence, registration and final closure, pose a real challenge – and blockchain technology – the next wave of digitization – will make this process simpler. Simply put, after identifying a property, a buyer can access title records, encumbrances, property taxes, etc. from Government records. Further, using a passcode/private security key of the seller, a buyer (or his representative) will be able to access all previous property records such as maintenance payments, ownership, etc. Once the property is finalized, the buyer can share these records with the bankers and mortgage can be arranged to post a digital due diligence. In addition, with digital signatures, payments can be transferred to the seller and the property can be registered in the name of the buyer. All-in-all, with blockchain technology, a property transaction can be concluded faster, seamlessly and with limited manual intervention – enhancing the overall efficiency of the system. Elimination of the need for storing physical property papers – thereby doing away with the potential pitfalls of lost or stolen property papers. Digitization of records, implementation of RERA and GST are the building blocks for Indian real estate sector to emerge as a transparent and buyer-friendly one. Alongside, the implementation of blockchain technology – which is essentially a dynamic database of records offering ‘viewing’ rights to all but ‘editing’ rights only to the owner – will be a big leap forward in the ease of doing business in the real estate sector. I am sure you will love the post if you have not read it. More players including Ubitquity, LLC. (https://www.ubitquity.io/web/index.html) have a big role to play. Exciting times ahead for the industry.